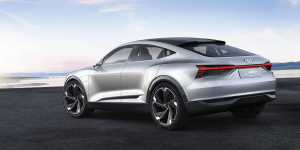 Next to the already announced e-tron, the e-tron Sportback and the e-tron GT, which are built on their own platform, another five Audi EVs will be built on the MEB platform. The first of the five, an SUV settled between Q2 and Q3, will be presented in 2020. The other seven electric models by Audi; SUVs, SUV coupés, crossovers and sedans in the C and D segment will use the Premium Platform Electric (PPE), which was jointly developed with Porsche. By 2022, the next generations of the Q5 and A4 will also possibly be offered as fully electric variants. The reports also indicated that Audi is planning to present a concept for a small city BEV in 2019, as this is still missing in their lineup. It is still unclear whether Audi will start using Porsche’s electric platform SPE as of 2025, which is being developed for two-doored sports cars and super cars. The platform was first mentioned last November. Back in the present, Audi’s road to electrification has been wild: only recently Audi cancelled the planned presentation of their debut BEV e-tron in August, which was stated to be due to organizational issues. When we consider that Audi boss Rupert Stadler is awaiting trial, the extent of the organizational difficulties is plain to see. The market launch for the vehicle was not apparently not affected, however. Technical details for the e-tron have also already been announced. After the e-tron is released on the market in 2019, it is expected that the e-tron Sportback will follow. A year later, the e-tron GT will follow as well.